Plus (get it?) Google loves its own stuff and if you want to appear higher in search results, you have to learn to love Google’s stuff too. So, without further ado, read our beginner’s guide (with GIFs because Google Plus loves GIFs) for a small business on Google Plus and learn how Google Plus can be successful for you. Before you can start building your business or brand profile, you need to have a personal Google Plus profile. To make a personal Google Plus profile you will need to use a Gmail or Google email address account. 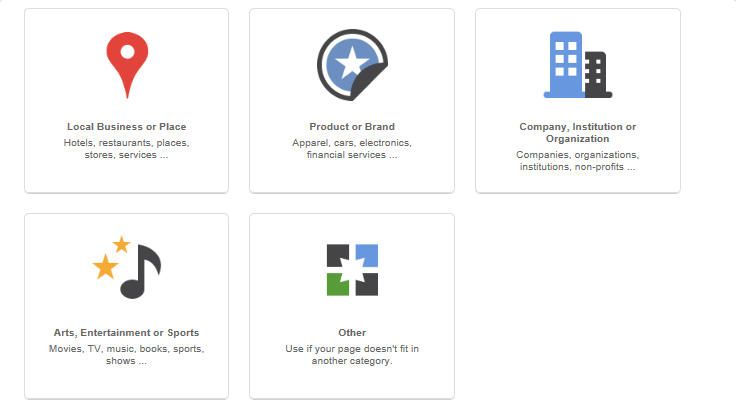 The important part for setting up the correct Google Plus profile for your business is choosing one of the following brand pages. You will be given 6 options to choose from as below. This option is for businesses who are based locally and serve a certain area rather than a nationwide business or brand. For a small local business like a Taxi Service, Builders, and Restaurants who only serve on a local basis it’s imperative you choose this option as it gives you a number of features which can help your business stand out in local search results. 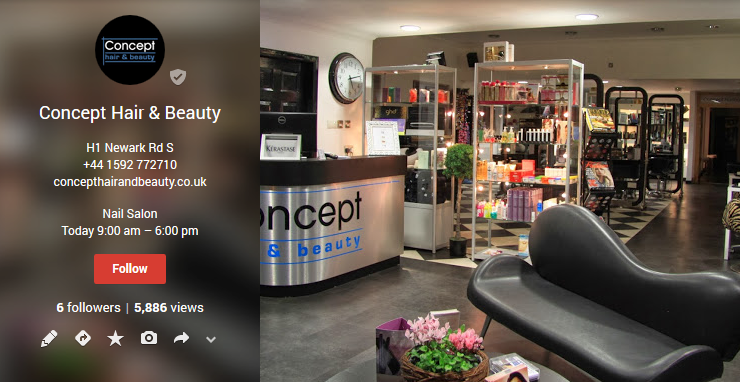 A great example of a business who should choose the Local Option would be a Hairdressers as below. 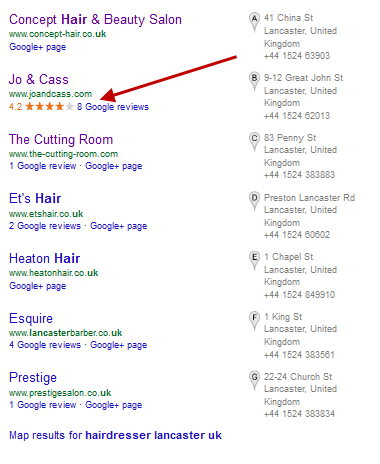 Ask customers to leave reviews on your Google Plus page. Use up to date contact information such as Address, Telephone, Email. If your business serves on a nationwide basis such as an ecommerce or exists solely on one or two stand out products then the option for your business would be the Product/Brand. 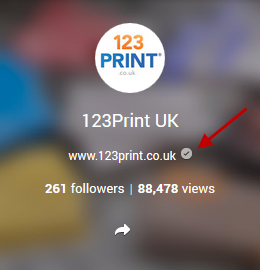 A great example of who should choose the Product/Brand option would be us, 123Print UK! Even though we have strong local ties in Leyland, we serve our products on a nationwide basis. 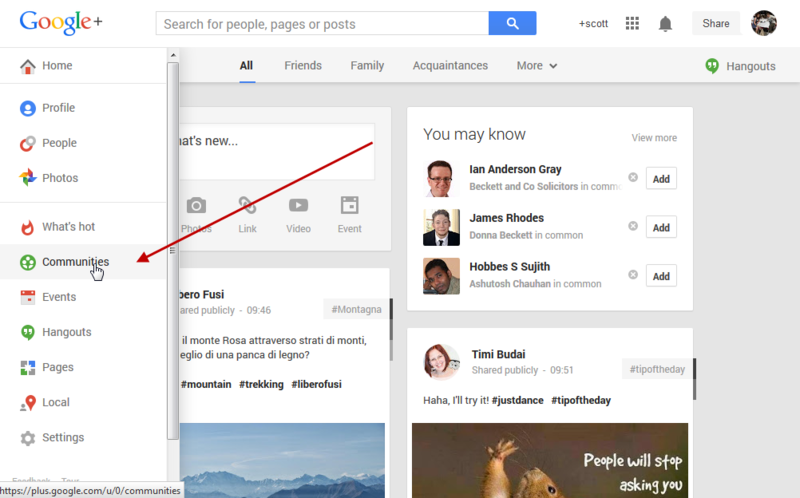 Google Plus Pages are not just relevant to businesses! If you’re running a local institution or organisation Google Plus wants to get you on board and has developed another page which is more suited to the information your ‘customers’ will desire. Using a mixture of the features available to Brand Pages and Local Pages businesses such as Universities who have both local ties and national/international marketing aims will be better suited to an Organisation page. The next vital step in setting up your Google Plus page is verifying your website. Verifying your website has a load of exciting features and can really help your brand be seen across both search engines and social media. Google is also taking Google Plus activity into account as part of its algorithm and its vital you have both your account linked so Google can track activity on both platforms. 2. Have your Google Plus followers displayed in PPC adverts. At this point you will provided with a piece of code which needs to be pasted into the homepage of your website. You can alternately send these instructions to your webmaster with the Email To Webmaster function After you or your webmaster has completed the link you will be able to test the feature. When the code is applied correctly you should be able to see a tick next to your profile image like below. With over 93% of information digested in a visual format it’s important that when joining any social platform that our images represent our brand and tell people exactly what they need to know in a matter of a glance. The first chance for us to impress our customers is with our profile and cover images. It’s important we get these images right, as not only do they make up our main profile images, but they also collapse into our hover card and get compressed for mobile. Do you want your page to look like this? Not great, eh? One of the unique features that is making Google Plus such an interesting platform to marketers is the ability to share content as broadly or as narrowly as you choose. Called Shout, Speak or Whisper Google has invented a following medium called Circles which gives brands the ability to split users into different categories. Starting off, Google gives you four main circles: Friends, Family, Acquaintances and Following, although these are great circles to start with, I’d advice making a number of circles you think could narrow down followers straight away. These could be people you’ve met recently at events and feel may be a potential customer in the future. Circle them, answers questions you feel could lead to a stronger relationship and keep a close eye for when they move along your buyer behaviour model. These could be people who are having a real influence on Google Plus in your niche. You’ll no doubt be wanting to interact with these people each time they post, so be sure to get these put into the correct categories so you can follow them closely. Pro Tip: Ask Questions. Influencers love to share their knowledge on Google +. Ask questions directly, grow your knowledge and engage other users. If you’re a local business, then I’ve no doubt that a key part of your marketing strategy will of course be PR and getting precious column time in local newspapers. With Google Plus still in the Early Adopter stage for people in professions like Journalism, Google Authorank is forcing people in the writing profession to take on Google Plus to gain advantages in search results. Circle them, listen out for PR requests and engage with them on topics you can help with. Pro Tip: Google + has no character restrictions, why not send out Press Releases to Journalists through Google +? To create or view your circles go to Home > People > Your Circles > Create a Circle as below. When you have created circles you can now add people via their hover cards (the pop out when you ‘hover’ over a profile picture). To do this Hover over the Profile picture > Click Follow > Choose Circle as below. Rich Snippets? Authorank? Authorship? It can all get a bit confusing can’t it? But trust me, Rich Snippets and having your little ole’ face appear in search results is all the rage! In fact, the latest research shows that having your little face included in the search results can increase clicks by 150%! I mean, look at the two search results below? Which of the two would you choose? The one with the picture, right?! It just stands out. You know a person has written the article and you know they’re social. Want to implement this? Follow these steps. Google has an excellent troubleshooting guide here. If you’ve been using social media platforms like Twitter or Facebook for a while in your business, it will be of no surprise then that one of the keys to success is delivering content that is unique enough to spark interest, yet of high quality so as to not waste your audience’s time. The only problem with this is where the heck do you find this mysterious content? It can be so annoying when you see a competitor share a top quality blog first, and even more annoying when you realise you could have created the content yourself! For us, we love browsing the What’s Hot section on Google Plus. The difference between searching on Twitter and Google Plus is that only high quality, user approved content gets pushed to top on Google Plus, whereas on Twitter any average Joe can simply tweet any old rubbish using appropriate hashtags to gain views. Type in a hashtag that will be relevant to your business, browse articles which may benefit your customer or gather ideas for your own blog posts. Let’s say you are a personal fitness instructor and you need to find content that you can share with your audience. This will bring up a stream of user generated content tagged with the hashtag #fitness. It will also give you relevant suggestions to search further with. See below. One of the standout features on Google Plus has to be ‘Communities’. Created and moderated by Google Plus users, communities act like a forum where users can receive content and discover conversations on just about any topic imaginable. 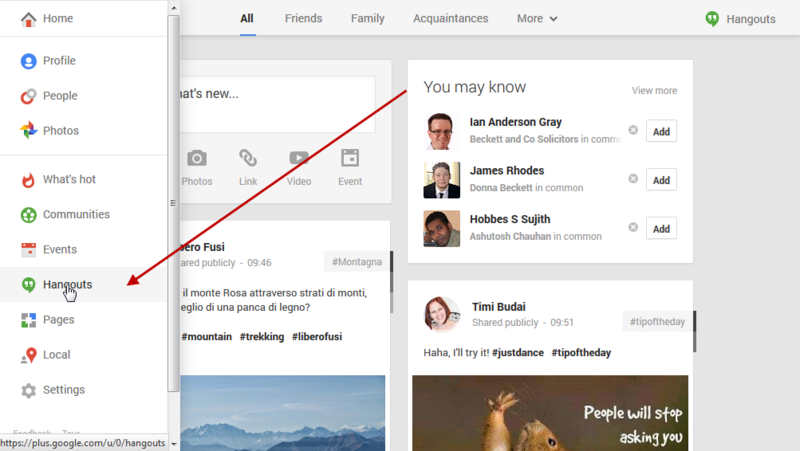 For Businesses using Google Plus for the first time, there is no better social discovery tool than communities. Whether you wish to share your own posts, are searching to discover new content or even just want to simply discuss potential ideas; communities have the potential for thousands of users to see your posts. Depending on the topic and the preferences of the moderators, some of the communities will need you to request to join, while others are public and will allow you to publish content straight away. It is vital you read the Community Rules for each forum and make sure you introduce yourself; explain why you’ve joined the community and what you hope to get out of joining. So you’re planning an event. It could be a simple hangout, it could a brand new webinar or you could be gearing up for one of your charity work bake sales. Whatever the nature of your event, posting it to Google Plus via the events section can be an essential tool for successful promotion. Not only can people mark if they plan to attend your event, but simple search tools provided by Google make it easy for people to find your event and cross posting to different Google Communities gives you a serious promotional advantage. Ok, so most people will have used Skype before today. A one to one video communication tool which allows users across the globe to connect face to face. For Google Plus hangouts, imagine the idea of Skype, but on a social network where up to 10 people can take part, share images, videos and link to other content without the formatting issues that other video communication tools would pose. 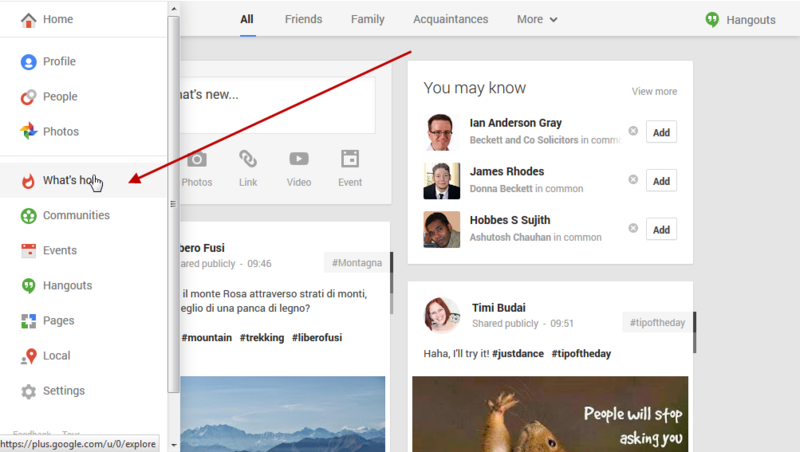 Users of Google Plus have come up with some pretty neat ideas for hangouts. So far I’ve seen movie nights, philosophical discussions and some pretty in depth coverage of business ideas. Well, Jeff Bullas has the ultimate rundown on Google Plus hangouts and we love these ideas for Small Business hangouts. Have you ever waited hours for a reply from a customer services department? Yeah, I hate that too. You may just want some further information on a product and by the time someone gets back to you, you’re long gone. Twitter has done a great job in filling in as a stop-gap to instant customer service, but with Google Hangouts you have the ability to connect instantly. Make a great impression with instant customer service and seal those important sales. It’s not always easy to get customer feedback or demonstrate certain innovate uses or ideas with a product on a website. Often you’re hit by certain functionality issues, and getting even 10% of customers to give you the real honest feedback needed to further your business can really be hard work. With Google Plus, take customer service a step further and demonstrate how to solve certain issues with a product, promote innovative ideas and ask for instant, honest feedback. Posting to Google Plus? It’s just like Facebook, surely? Well, not quite. In a good way, Google Plus has made posting content so much more advanced and can turn a bland, generic post into a centre of engagement and conversation. 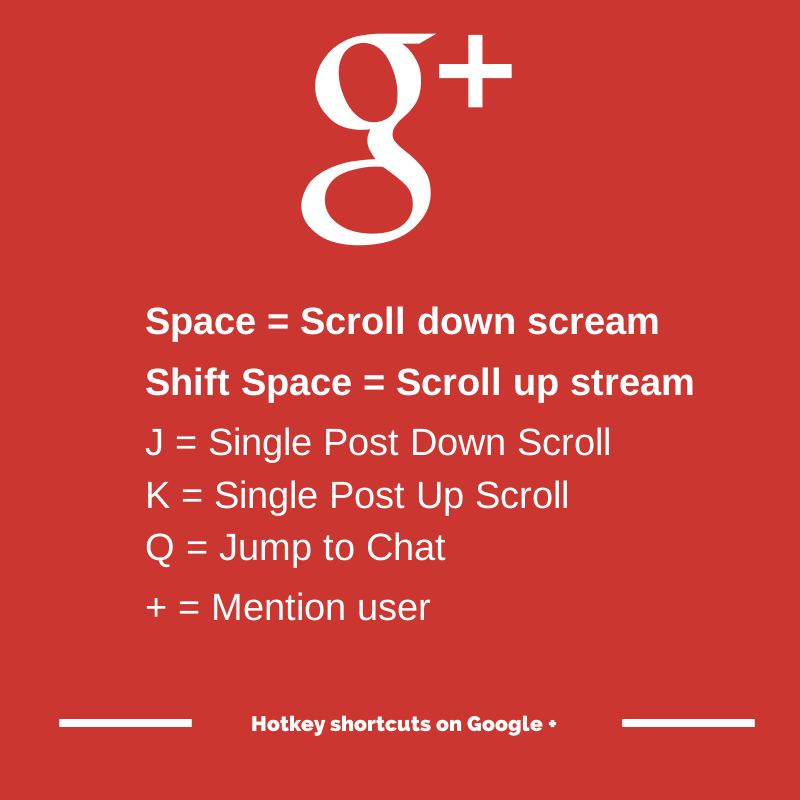 For most Google Plus users, having a correctly formatted post makes it far easier to follow and will raise the general engagement of your post massively. Try these tips for post success! The great thing about circles is that you can really narrow down who you’re sharing particular content with. For most small businesses you will want to hit everyone who has you in their circles. Posts will be auto-set to the ‘Public – all’, but if you desire you can change this, as shown below. Much like all social networks, to stand out on Google Plus, you need to be visual. If you’re sharing a blog post, a special product offer or anything that isn’t video related, attach an image. Not only can you pin images from Google Plus and encourage people to follow you from Pinterest, but recent research by QuickSprout has shown than posts with images receive 9.4% more engagement. The next step to getting a perfect profile post is to format your posts. Not only will it make your post look aesthetically pleasing, but it increases the authority on your post. Most people will know by now that Twitter invented and sky rocketed worldwide the use of the hashtag. Even Facebook has realised the potential of a hashtag and with Google Plus, you are able to take the hashtag to the next level. 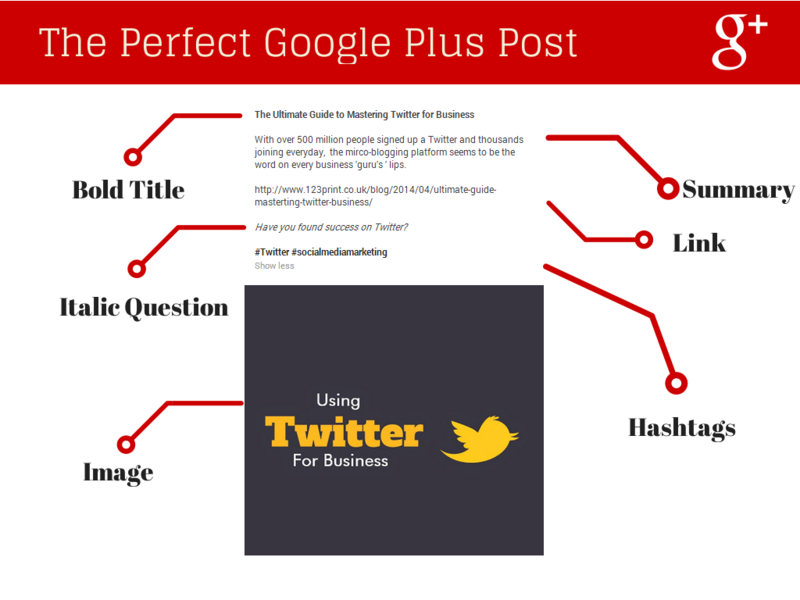 Using hashtags can increase a posts visibility on Google Plus by 42%. One of things I particularly love about Google Plus is the ability to tag other users into your content. This can be replicated across other social media posts like Twitter, but with Google Plus you get an unlimited number of characters to describe your post. If you have a new blog post which contains content from other users, make sure you tag them into the content. Describe why they have been included, ask them (politely) for their thoughts and they may even share your post with their audience. 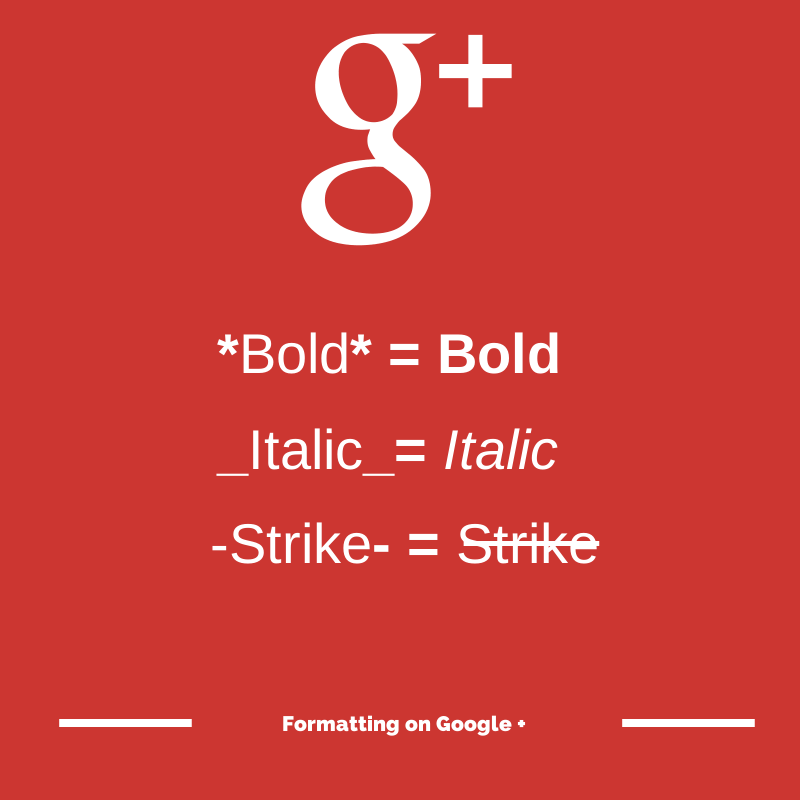 See our anatomy of the perfect Google Plus post below. To mention someone in a post you need to include the + sign before a user’s name. This will bring up a drop down as below. Spelling mistakes, grammar errors and more importantly, careless and sometimes even insulting comments. We have all been there at some point. Being a little too quick on the publish button can lead to embarrassing social media posts. Luckily for all of us (we are human after all) Google Plus has made editing posts a simple task, where you can even edit comments or delete comments from your post after publishing. You may have heard that Google has tried to bring together a beautiful (although slightly controversial) marriage between Google Plus and Youtube. From your Google Plus dashboard you can now track views, post comments and share your Youtube videos without the hassle of copying and pasting. Not only can you format posts for optimal engagement, but Google Plus has also made some pretty big steps in making the browsing experience so much cleaner. How can this benefit a business? We’re not quite sure yet, but they’re pretty neat tips to make your life a little easier. and the freedom to cancel their contract on a short term basis.